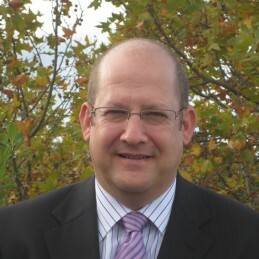 John Vamos is the founder and Managing Director of Business Coaching Systems. He is a prominent Director, sought after speaker, published author, Accredited Advisor and member with both Family Business Australia (FBA) and the Family Firm Institute (FFI) in the United States. John also sits on Private Company Boards, as Independent Chairman, in a variety of Industries such as Hospitality, Technology, Wealth Management/Philanthropy, E-commerce and Retail. John began his career in the Financial Services Industry, he is a Macquarie University graduate (Arts and Law), and holds a Diploma in Life Assurance from Deakin University. John discovered early success in this industry, developing selling strategies which took MLC’s twenty-seventh ranked division to number one. The seeds of Business Coaching Systems started to grow through John’s role in the ALWA’s Education Committee, where he was asked to source a training program to teach entrepreneurs how to write a business plan. He authored an action based alternative and it worked. So well in fact that John decided to make it a vocation… and a business. John has written two books and is also the developer of the techniques and curriculum, Business Thinking Systems™, which sets BCS apart. John has authored all of the BCS Intellectual Property modules including tertiary-equivalent programs on strategic planning, operational excellence, performance management and executive coaching. BCS has worked with over 3,000 companies and 20,000 individuals across a variety of industries in public, private, government and the not-for-profit sector.